Because of technologies like smart phones and tablets, we’re taking more and more photos. Often we’ll take dozens of pictures of a simple afternoon at the park, a hundred photos of a birthday party, and hundreds of snapshots of a family vacation. Yet we don’t print many of them anymore. We used to have to develop a roll of film to see what we’d captured (or, at least our parents did!). Now we have the instant gratification of seeing the photos, and knowing that they’re saved on our devices or posted on our social media pages. But do we still really enjoy these photos? Can we enjoy the memories the same way if we’re swiping and scrolling through hundreds of photos? Are we cluttering up our spirits with a subtle sense of guilt about those photos? Are we losing something by not being able to sit and look through photo albums with our kids, just as we read books with them? Admittedly, I’m deeply swayed by my old-fashioned love of photographs, but I would argue that we are missing something. The simple joy of memory. A chance to connect with our loved ones. 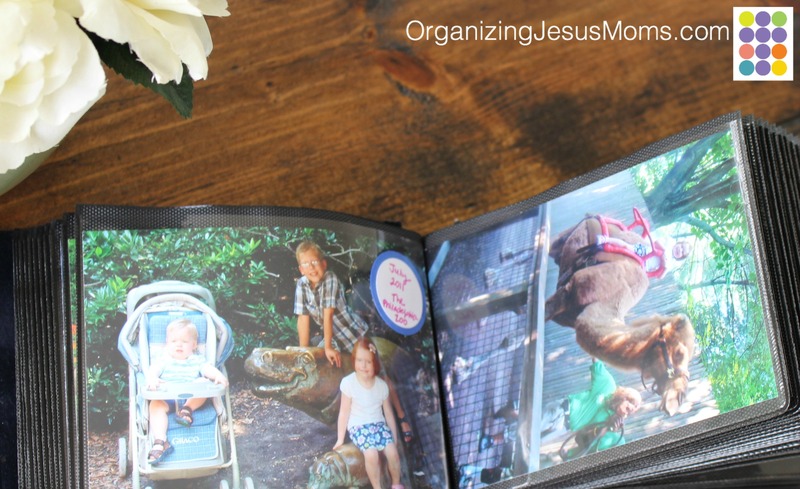 If you miss photos (or even if you don’t miss them, but would love to add to the joy of your digital memories), then the Organize Your Photos series is for you! 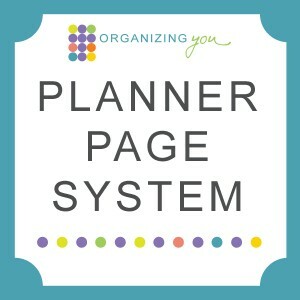 I’m going to challenge you to print out a few photos and organize them in such a way that your family and friends can enjoy them, even after the social media update is over. You don’t have to make it hard! Let me say that again: You don’t have to make this into a big, huge, hard project. 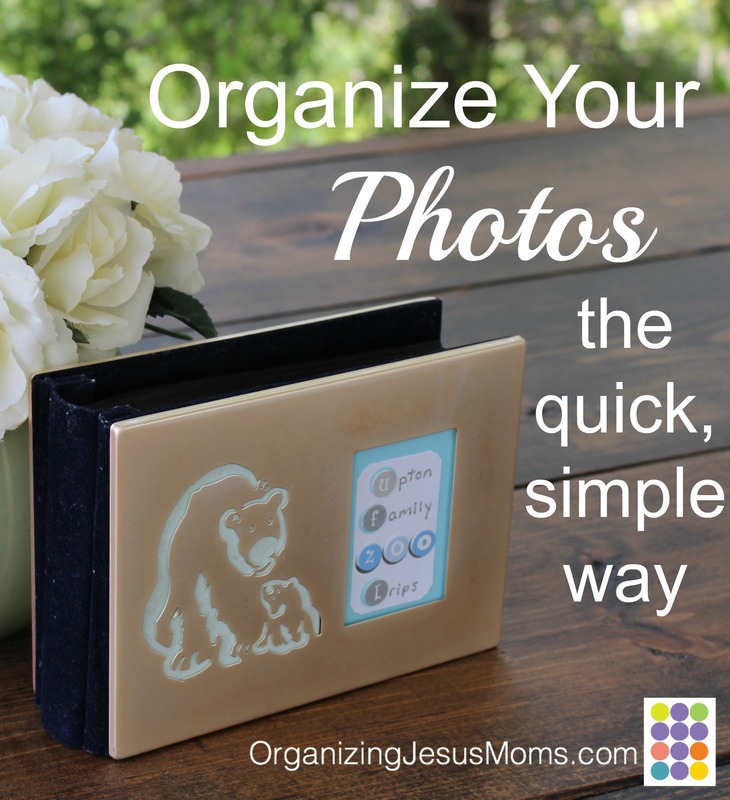 In the Organize Your Photos series, I’m going to give you a few ideas for small, easy, fun photo projects. Projects that you’ll love to complete and enjoy when they’re done. 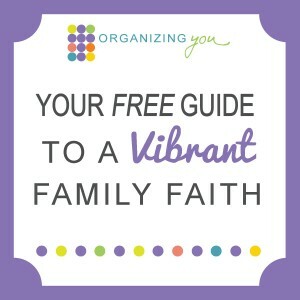 Does your family have an interest? Is there a place you regularly visit, or a hobby you enjoy together? 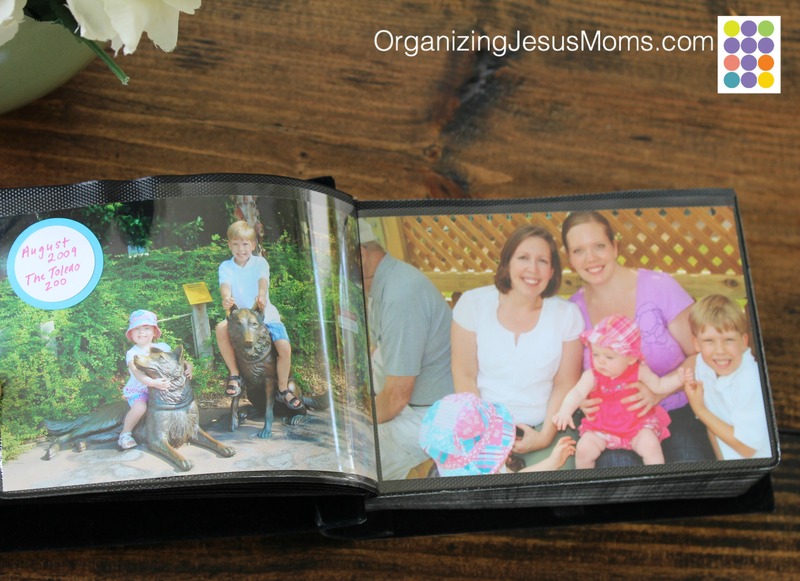 Take a small selection of photos of those times, print them, and put them in an album. As an example, I’m going to show you our Upton Family Zoo Trips album. We love to go to the zoo, and I generally take a picture or two while we’re there. 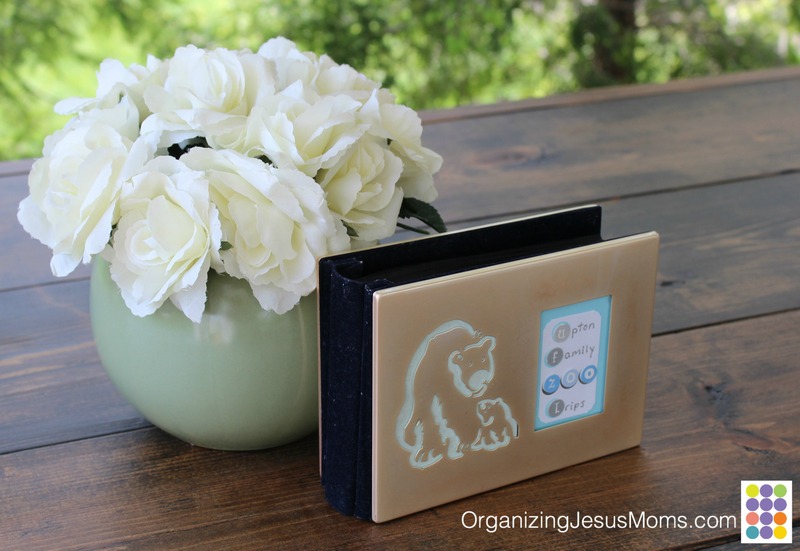 This little album (a baby shower gift, actually) looked zoo-ish to me, and so the zoo album began. 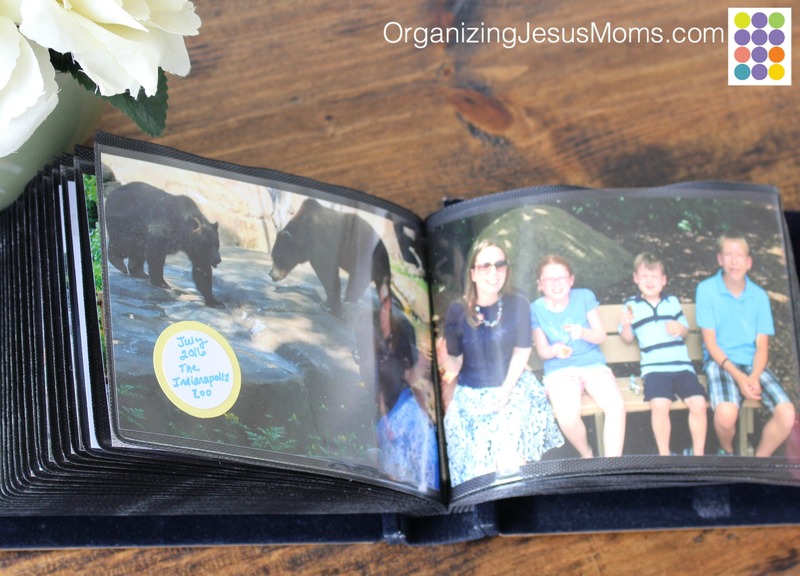 When Spencer (my oldest) was a baby, I started printing two photos of us from each zoo trip we took and putting them into this album. I still had a film camera back then and used the “doubles” of the prints. (Yes, I’m old.) Now I generally take them on my phone and send them to print online—just two pictures of us from each little zoo trip. I write the date on a little circle and glue it right to the picture—just the month and the year. Easy peasy. 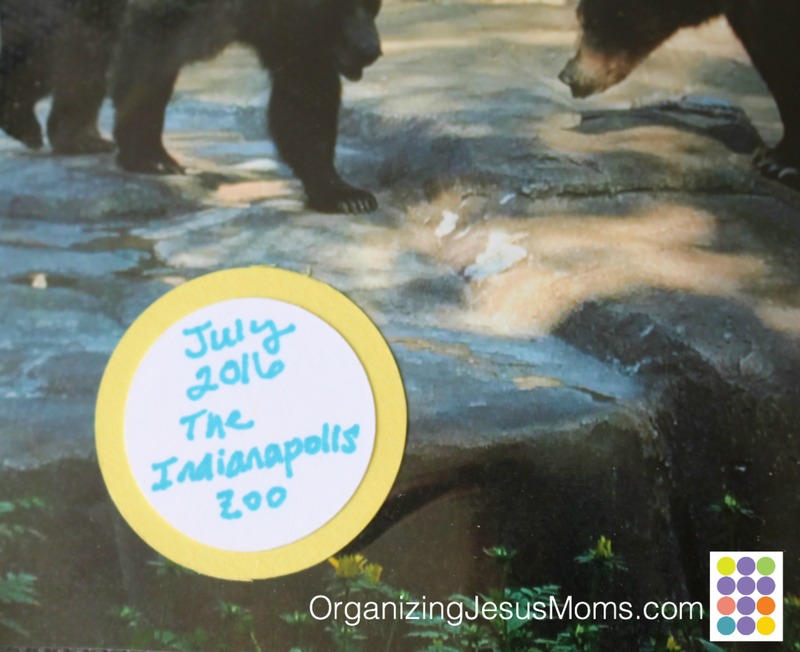 Most of the time, we visit the Columbus Zoo. 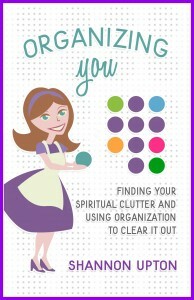 (Let me give a shout-out to those of you who stop me at the zoo and say, “Hey, you’re the organizing lady!” You delight my kids, and open me up to hours of teasing from my husband.) But, when we visit a different zoo, I write that in the circle, too. I love this album, because it takes almost no work, and you can see the kids grow up (and my changing style!) as you flip the pages. This is a loose system, full of grace. No, I don’t have pictures from every time we’ve been to the zoo. It doesn’t matter. No, not all of the pictures are particularly great. It doesn’t matter. Not all of the pictures are horizontal pictures, either; sometimes you have to turn the book sideways to get a good look. It doesn’t matter. The Interest Album isn’t about perfection, it’s about joy. It’s about recognizing blessing. We love looking at our zoo album. I keep it out on our coffee table and we truly enjoy perusing it. So do our guests, for that matter—it’s an instant conversation starter. Everyone loves to talk about the zoo! Anything you regularly enjoy and taking pictures of! 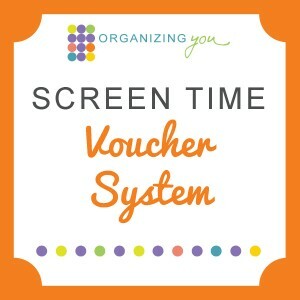 Scan through your devices for photos of your family engaged in your interest area. Don’t select all those photos, just pick one or two of the very best ones from each day or group of photos. 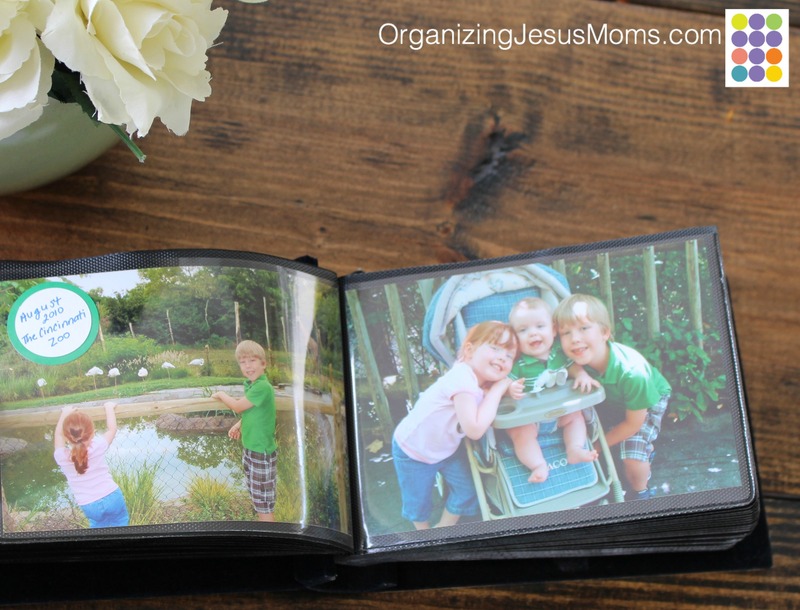 Send them to print, then put them in a photo or album. 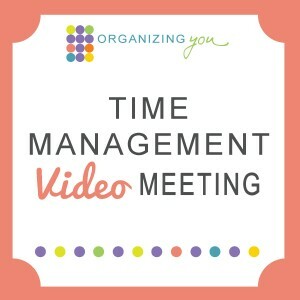 Include the dates and places… or not! Just enjoy it! Enjoy looking through the photos. Enjoy the simple pleasure of putting them into the album. Enjoy completing a small project. Then enjoy looking at those photos with your family and reminiscing. Thank God for the memories, and the blessings. He is so good! What’s your family’s interest? I’ll add it to my list! 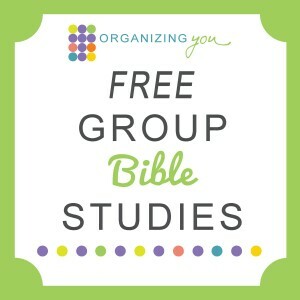 Stay tuned for more posts in the Organize Your Photos series! 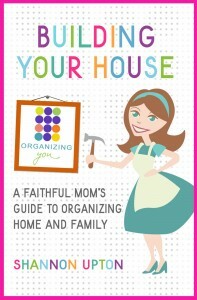 And for more information about organizing your belongings with Jesus (including photographs), check out my second book, Building Your House.